Richard: Great photos. I am going through my photos from a recent Lembeh trip, trying to identify all the critters. Think this may be a Bigeye Conger vs. snake eel. 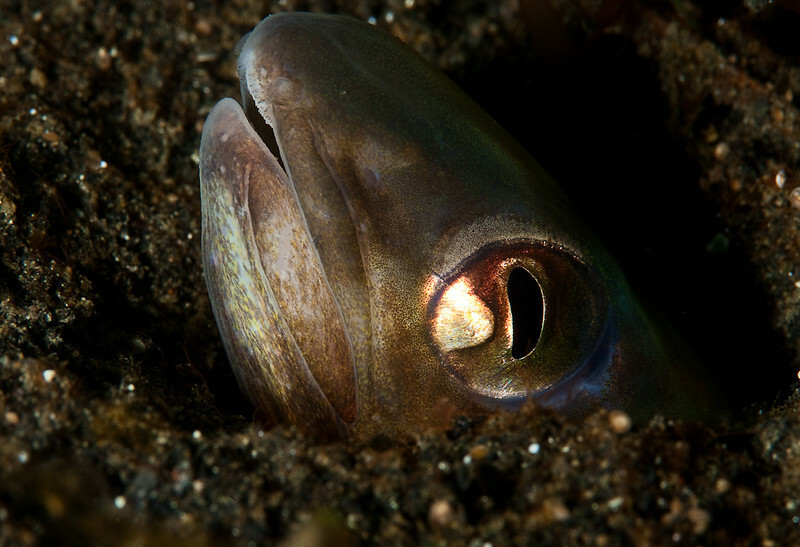 Snake eels typicallyhave tubular nostrils on their upper snout. Don't see that here... Again, great stuff.